Upper eyelid surgery can be performed under local anaesthesia. The procedure is painless. 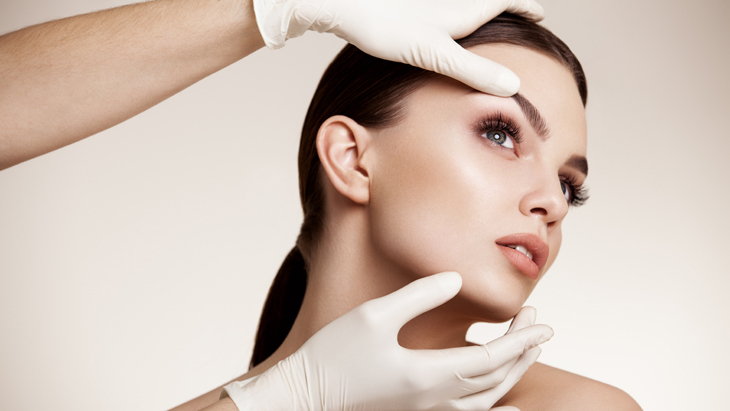 The surgery involves removing excess eyelid skin and, if necessary, removing fat herniation visible under the skin. The surgeon then sutures the skin and sticks a small dressing made of thin plasters — the eye may be opened immediately after the surgery. The procedure lasts 40–60 minutes. The sutures are removed after 5 days. The scar runs in the eyelid fold and eventually becomes invisible. The surgery can be performed in people with excess skin on the eyelids — ladies complain about problems when applying make-up, men are often bothered by reduced vision, both complain about the heaviness of the eyelids. These are often people of about 40–50 years old, although sometimes younger patients undergo the surgery. The best results are achieved in people whose facial skin is taut and the passage of time is revealed only by the excess skin on the eyelids. A small surgery can restore a youthful look. In order to obtain a better aesthetic effect in the elderly, eyelid surgeries are sometimes combined with facelift. Before the surgery, blood tests should be performed: blood count and coagulogram — to assess whether there are no coagulation disorders. Two weeks before the surgery, you should not take certain medications that reduce blood clotting (e.g., aspirin, polopirin, acard). They may cause haematomas and prolong healing. Some patients with thin skin and a tendency to bruise take vitamin C, Rutinoscorbin or arnica preparations several days before the surgery. In the case of concomitant eye diseases, it is advisable to consult an ophthalmologist to check if it is safe to perform the surgery. On the day of the surgery, bring your sunglasses — they will be useful after the surgery! 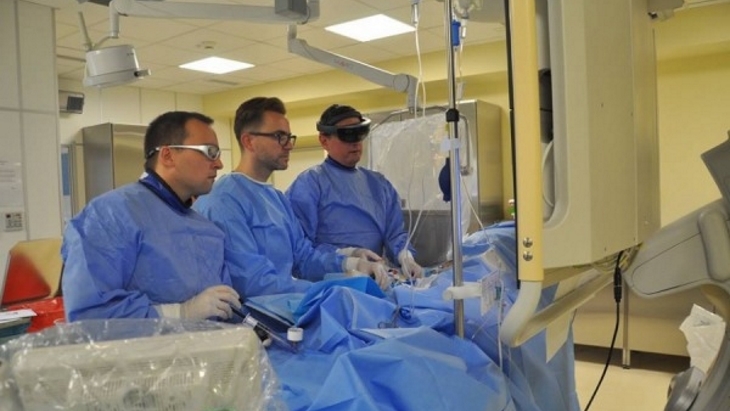 Upper lids surgeries cannot be performed in patients continuously taking oral anticoagulants. Certain thyroid diseases, dry eye syndrome, retinal diseases are also considered as contraindications. People reporting for the surgery must be generally healthy. Even a common cold can aggravate postoperative state — in such cases, surgery should be postponed until full recovery. After the surgery, for the first 3–4 days, you should avoid working at the computer, watching TV, reading — it is preferable to listen to the music, go for a walk. Excessive straining of the eyes intensifies swelling and prolongs healing. Pain after the surgery is minimal and generally does not require using analgesics. Stitches are removed after 5 days — it is advisable to oil the eyelids and gently massage them. It is necessary to avoid the sunlight, otherwise red scars may persist for longer. Applying make-up is possible after about 7–10 days, when the eyelid is completely healed. Immediately after the surgery, it is suggested to use cooling compresses on the lids. At home you can make compresses of chamomile tea cooled in the refrigerator. 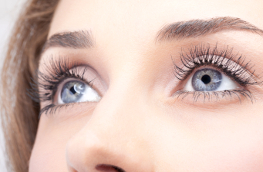 Plastic surgeon often prescribes eye drops to prevent infection and sticking eyelashes. LUX MED Hospital in Poland offer an extensive range of treatments and surgery including eyelid correction surgery, facelifts, breast augmentation, abdominoplasty, brow lifts and non-surgical treatments. Part of BUPA International Group, LUX MED Hospital in Warsaw, Poland is an extensively equipped modern hospital offering a comprehensive range of plastic surgery, obesity surgery and aesthetic medicine procedures. Treatments available include gastric balloon, gastric band, breast augmentation, facelift, liposuction, abdominoplasty, nose reshaping and eyelid correction.